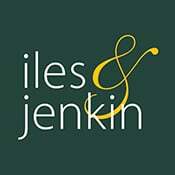 Here at Iles and Jenkin, we understand how stressful the whole moving process can be. That is why we have a dedicated sales progression department in order to ensure there is someone with you during the whole of the process. Whether you are selling a property or are a first-time buyer, we know that you will have questions to ask, but also that you may not know the correct questions to ask your solicitor. Therefore, as property professionals, we are able to help to progress the sale, liaising with solicitors, financial advisors and other estate agents in order to do all that we can to make the purchase go through as smoothly as possible. Unfortunately, sometimes your purchase does not go the way we all want it to and there may be hold-ups, your chain may fall through, or someone further up the chain may have problems with their purchase, but you can be secure in the knowledge that you will have someone to discuss these ‘hiccups’ with and who will be able to give you honest and researched information.